KWell we have been without internet for two days now, we are in never, never land. 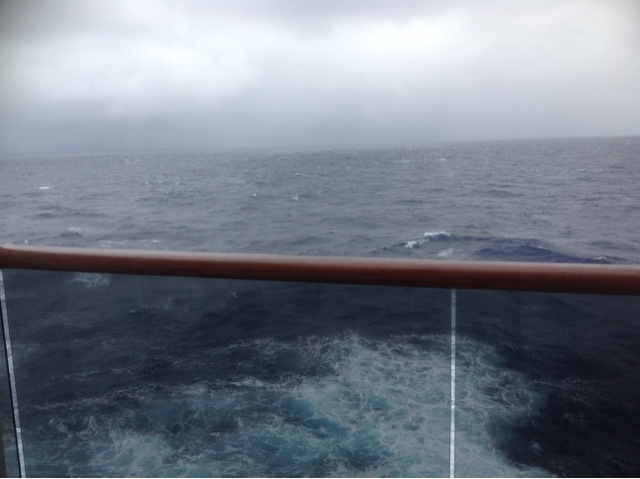 The seas are a bit rough, about five ft and head winds of 45 KTS. It is 75 F and the map finely has the land on the screen, so it won't be too much longer now, and maybe that means we'll get the internet back I hope I can get this to post, but we'll see. Around the ship for the last couple days have been sort of busy, we had the Neptune crossing, but didn't get to see it as they scheduled the wine tasting at the same time. That type of thing has been a problem the whole cruise. I don't think the cruise director is very swift. And we have had rain again, first sea day it was sunny then rain and clouds, it makes things kind of a downer. Everyone in our group has has made the best of it, but it is hard not to wish for a bit of sun. 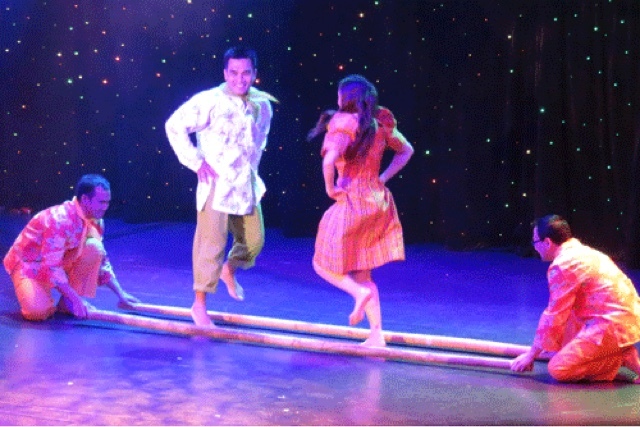 Here is a picture of the Philippino show. Yesterday we went to the mariners luncheon, it is to honor the people who are most traveled. 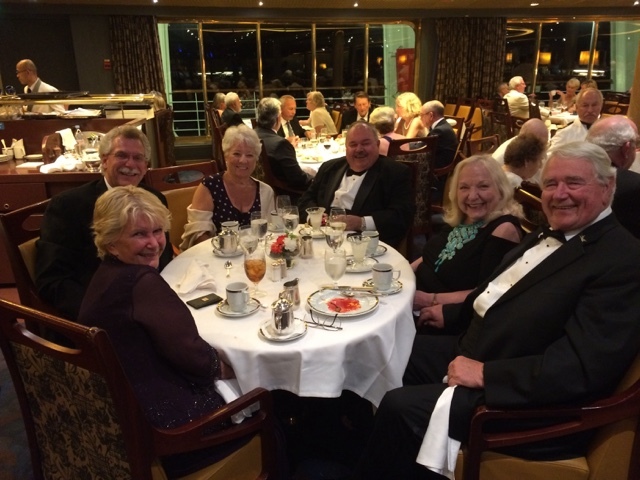 Then day befor we had a Gala Night, better known as formal night. This is our group. 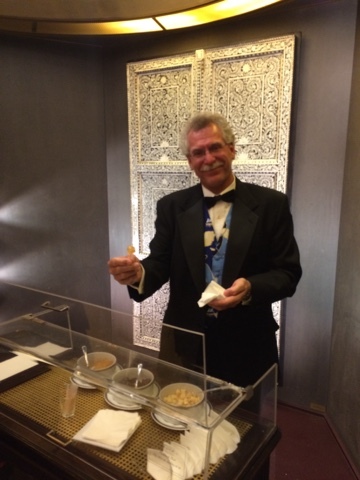 And Jim passing out YUM YUMS after dinner. Later,,,, got to see if I can this out. Great pics!!! Glad your making the best of it!! See you soon!!! Safe travels!